Tinnitus is one of the most common hearing disorders, with wide-ranging risk factors including age, hearing loss, noise exposure, inflammatory diseases or tumors of the ear, ototoxic drugs, head or cervical vertebra trauma, and psychological disorders (e.g., anxiety and depression). Tinnitus can be a lifelong disorder and will bring about annoyance, anxiety, depression, insomnia, hyperacusis, concentration difficulty, and, in some extreme cases, suicide. Not every tinnitus patient will require medical attention, and the majority often get accustomed to the phantom sound; however, about 20% of the sufferers will seek clinical intervention. As a matter of fact, evidence was rare for successful tinnitus treatment with a randomized clinical trial. With recent advances in neuroimaging approaches and development of novel tinnitus animal models, scientists have gained new insights into the neural basis of tinnitus. Current theories regarding mechanisms underlying tinnitus focus on abnormal activities in the central nervous system, such as elevated spontaneous neuronal firing rate and increased neuronal synchronization caused by the auditory deprivation, changes in the tonotopic map, auditory cortical reorganization, dysregulation of the limbic system, and the central auditory cortex. At the present, there is a lack of objective indicator of tinnitus, and the diagnosis battery for tinnitus mainly relies on subjective assessments and self-reports, such as case history, audiometric tests, detailed tinnitus inquiry, tinnitus matching, and neuropsychological assessment. While there is currently no golden standard treatment for tinnitus, counseling, psychotherapy, pharmacological approaches, masking devices, individualized sound stimulation, and cognitive behavioral therapy (CBT) are the most widely used strategies, and among these only CBT treatment has been shown to have a definite improvement effect on tinnitus in a large randomized controlled trial. 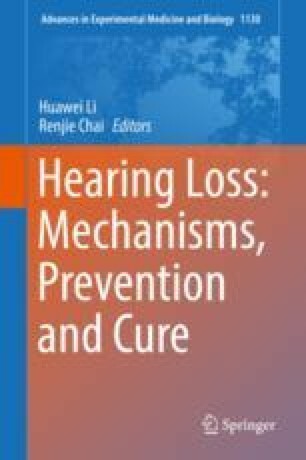 In summary, this article reviews recent advances in understanding, diagnosis, and treatment of tinnitus.